A Philippine mayor accused of involvement in narcotics trafficking survived an ambush on Sunday, police said, four months after President Rodrigo Duterte publicly threatened to kill him. Retired police chief superintendent Vicente Loot, a mayor in the central province of Cebu, had been repeatedly named by Duterte as one of the so-called “narco-generals” protecting the illegal drug trade. Loot on Sunday was on a boat arriving with his family at a port in the Cebu town of Daanbantayan when unidentified gunmen opened fire and wounded four people, police said. The mayor was unhurt. “We are looking at all possible motives and angles, including his being tagged in the narco-list, politics, or his previous work in the police force,” acting town police chief Senior Inspector Irish Dilem told AFP. Duterte has launched an unprecedented war on drugs which has cost thousands of lives. He first named Loot in 2016 as part of his so-called “drug list” of local officials, policemen and judges whom he accused of involvement in narcotics trafficking. Three other mayors on the list have since been shot dead, one of them while inside a jail cell. 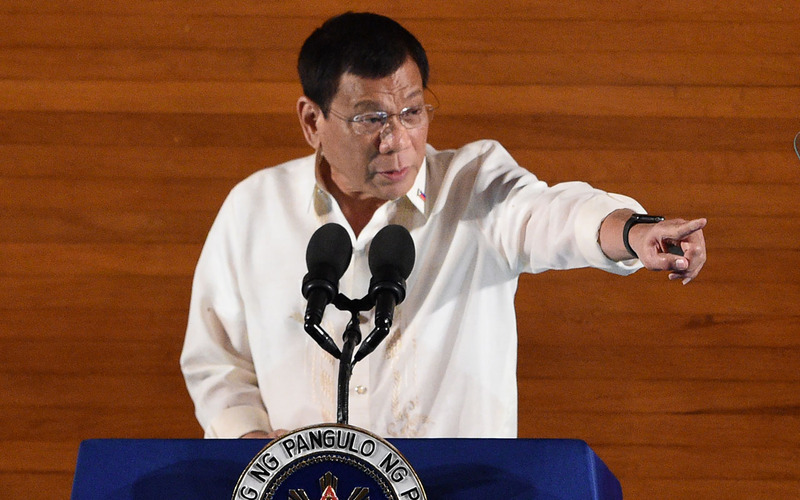 Duterte had lashed out as Loot as he questioned the source of the mayor’s wealth. In December 2017 he recounted a conversation he said he had with the official. “Did I not tell you during my meeting with (mayors), I told Loot, ‘You son of a whore. General Loot, you are a general. I will kill you’. Because (he) used government for wrongdoing,” Duterte said during a disaster briefing. Duterte’s spokesman did not immediately respond to requests for comment on Sunday’s ambush. The ambush came on the eve of local elections on Monday and two weeks after authorities released a list of over 200 elected officials with alleged links to drugs. Rights groups criticised the issuance of what they called a potential “hit list”.